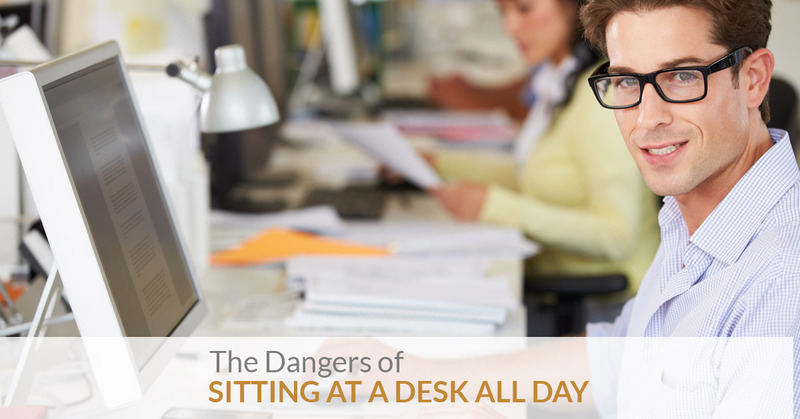 The Health Effects of Sitting at a Desk All Day: Chiropractic Care Can Help! As more and more evidence emerges regarding the health dangers of sitting all day, you need to take a more active role in managing your health. While it’s likely not practical to change your job or your workstation altogether, you can definitely make small changes throughout the day and outside of work to counteract the health effects of sitting. Read on for ways to take control of your health. If you are experiencing any of these symptoms contact our Woodbury office today for a full consultation. In addition to the muscular, skeletal, and vascular symptoms noted above, there are far more dangerous conditions that can stem from sitting for prolonged periods. These conditions can include heart disease, diabetes, cancer, and a 61 percent greater risk of dying if you sit more than seven hours a day. While these are certainly alarming, you can take an active role in preventing them if you take action now. Your chiropractor at DMR Clinic can perform a comprehensive consultation to determine the best course of treatment. We can help with pain relief and overall wellness, and take an integrative approach to healthcare. Your chiropractor can work with you to improve your posture while sitting, and to show you ways to stay healthy despite your sedentary job. Ongoing chiropractic treatment can help relieve stress, improve your immune system’s function, and help you get a good night’s sleep, all of which will ramp up your productivity during the daytime. Those who have a sedentary job and sit most of the day need to work extra hard to stay active. While it might be difficult to muster the energy to take a walk after work or to hit the gym, you won’t be sorry. Every hour, take a quick break and get up for a few minutes to stretch (your chiropractor at DMR Clinic in Woodbury can give you some activities to try). Work with your chiropractor to come up with a healthy nutrition plan, and avoid unhealthy foods that will only add to your already less-than-optimal situation. People who work sedentary desk jobs face health risks that more active people don’t. To take control of your health and combat the dangers of sitting at a desk all day, call DMR Clinic in Woodbury to make an appointment now.